Minister for Finance Michael Noonan has acted to freeze property tax bills until 2019. The Department of Finance quite likes the universal social charge – or so you might conclude from various communications from senior officials to the Minister. The latest, released in a freedom-of-information request to Sinn Fein’s Pearse Doherty, outlines what would be needed to replace the €4 billion revenue if the USC was abolished. Needless to say, all the options are horrific. The USC accounts for not far off €1 in every €10 raised in tax each year (9.1%), to be precise). And so, were it to be abolished in one fell swoop, replacing it would require big tax hikes elsewhere – for example, a sixfold increase in the property tax combined with a range of other hikes in capital taxes, or a rise in the two main income tax rates by five points each to 25% and 45%. Everyone knows that this is not going to happen. 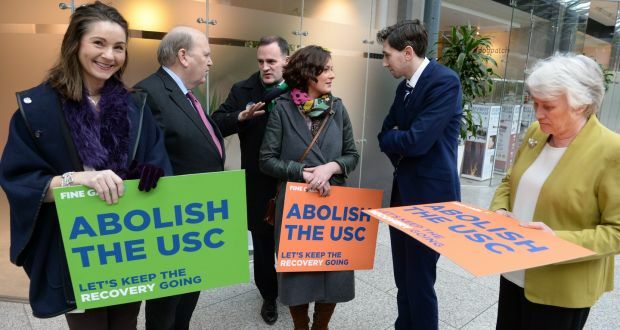 We are never going to be able to afford to abolish the USC in a year or two, even if the tone of the general election debate might have suggested otherwise. The documents, drawn up as briefing notes for a new Minister for Finance – in the event,Michael Noonan was reappointed – look designed to drive home the point that progress in cutting the USC was going to have to be slow. The department said the notes predate the programme for government and the plan was for the “gradual phasing out” of the USC to continue. The plan was never to abolish it in one go. The statement added: “While scope is limited in this year’s budget there will be a further move to curb USC, especially for mid- to low-income earners”. The statement also noted that there was “absolutely no intention” to increase property tax in the forthcoming budget. In fact, Noonan has acted to freeze property tax bills until 2019, a move which will introduce so many anomalies that the tax could yet be wide open to legal challenge. What we will see in the budget is some limited further relief for USC. It would be a surprise if the main rate – cut from 7% to 5.5% in the last budget – was not cut again. But the room for manoeuvre on budget day will be limited – about €330 million will be available to reduce taxes, compared with €750 million last year. A bit more may be available in subsequent years, but that depends on the ability of the economy to continue to grow at 3% plus a year, post-Brexit. The plan of the Government – if it lasts – is to continue to use the spare resources in the budget to cut the USC year by year. This is because the alternative route to phasing out the USC – raising significant money elsewhere – is seen as unpalatable. Cash will be raised from a new tax on sugary drinks in the next few years. And it is likely that income tax credits and the standard-rate band will not be adjusted for wage inflation – effectively a sneaky tax increase on people getting wage rises, which will offset some of the gains of USC cuts. But there is no way the Government will take the potential political hit of raising a large sum elsewhere after the water charges debacle. But there will be no big move to , say, hike property taxes or indirect taxes. And the scale of the revenue raised by the charge mean we will all be living with it for years yet. We are talking, at best, about a decade-long phase-out of the charge, if that is the route successive governments chose to take. Sinn Féin, whose plans were more modest in terms of USC reduction than those of Fianna Fáil and Fine Gael, will seek to make some political capital out of this in the run-up to the budget. Fine Gael, meanwhile, by refusing to give way on its plans to phase out the charge, will struggle to make the case that this is achievable in a reasonable time frame. Calculations presented by the department in prebudget tax documents set out a programme which could see the USC roughtly halved by 2020. It would require all the estimated room for tax cuts to be allocated to USC reductions – and in fact for new revenue to come on stream to meet some of the cost after 2018. And remember that for the room to manoeuvre to emerge we need economic growth to continue. So the painful USC charge on our payslips is here to stay for quite some time yet. The best we can hope for is a very long goodbye. The number of complaints against doctors rose last year with many patients accusing medics of poor communication. 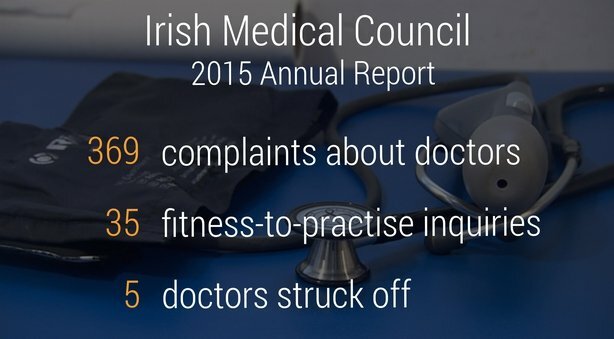 The annual report of the Medical Council, the regulatory body for doctors, said it received 369 complaints about the profession in 2015, compared to 308 in 2014. The number of complaints about poor communication rose by 40%.. The majority of grievances came from the public, but 25 were lodged by other health professionals and two by the HSE. Other causes of allegations related to misdiagnosis, clinical investigations and examinations, professional skills, lack of dignity when treating patients and poor follow-up care. 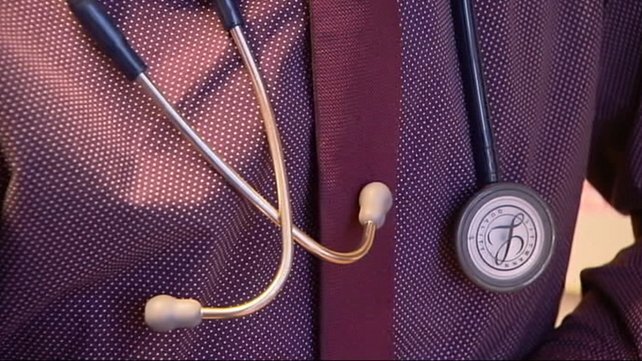 There were 35 fitness to practise inquiries into serious allegations against doctors during the year, half of which were held in public. Chief executive Bill Prasifka said the number of doctors registered here topped a record 20,473. There were 1,200 doctors exiting the register during the year. He said: ”I found it particularly interesting that although males continue to dominate the medical profession as a whole, since we began collating this data, there have been more Irish female graduates entering the medical profession than their male counterparts. “The majority of those on the register between the ages of 30 – 44 are female; however from 44 years and on the number of females on the register begins to decrease. 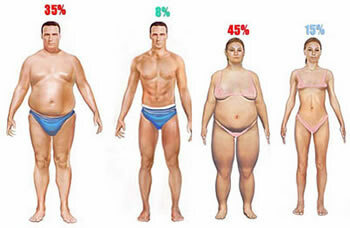 Excess fat increases the risk of cell abnormalities. 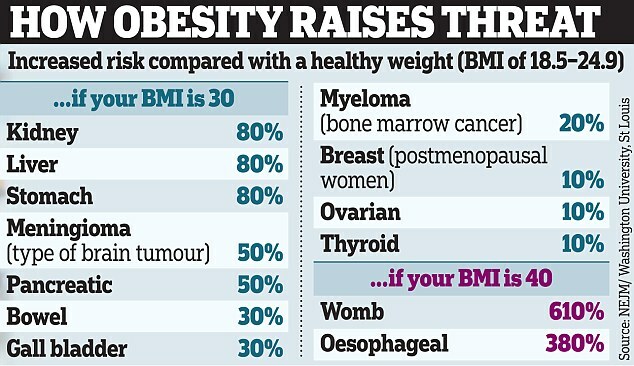 Weight is not the only factor that affects the risk of cancer. Although there’s no proven way to avoid cancer altogether? 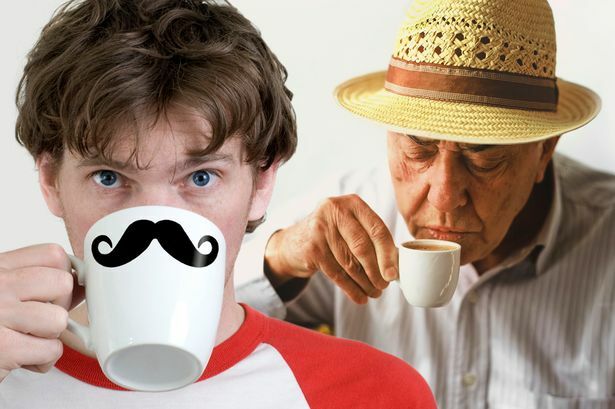 Your daily coffee habit could be part of your genetics? The gene variant appears slowing the breakdown of caffeine in the body, meaning the stimulant lingers in the blood for longer and gives people a more enduring “hit” for every cup. A gene that appears to wield influence over the amount of coffee people drink has been found by scientists who believe the section of DNA alters how caffeine is broken down in the body. Italians villagers who carry a specific variant of the PDSS2 gene consume about one less cup of coffee per day compared with non-carriers, according to researchers at Edinburgh University. The gene variant appears to affect people’s coffee intake by slowing the metabolism of caffeine in the body. When caffeine is broken down more slowly, the stimulant lingers in the blood for longer and gives people a more enduring “hit” for every cup. Why drinking coffee can give you jet lag – and help you get over it. 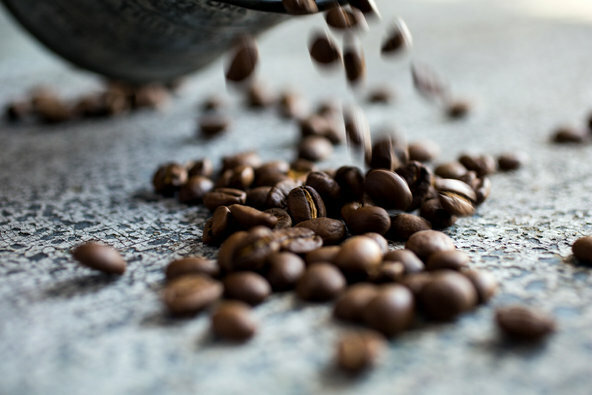 Nicola Pirastu, a geneticist who led the study, said the discovery reinforces the idea that caffeine is one of the main drivers for drinking coffee. But he added that larger studies are needed to confirm the biological mechanism that links the PDSS2 gene to coffee drinking. In the study, researchers analysed the genetic makeup of 370 people living Puglia in southern Italy and a further 843 from six villages in the Friuli Venezia region in the north east. All were asked to complete a survey, which included a question about how many cups of coffee they drank each day. The researchers found that people with a specific variant of the PDSS2 gene tended to drink fewer cups of coffee than those who carried other variations of the gene. To check the result, the researchers went to 1731 people in the Netherlands and found a similar effect, though the gene’s apparent influence over coffee consumption was weaker there. One explanation could be that national preferences for coffee differ in Italy and the Netherlands. While moka and espresso are popular in Italy, the Dutch favour more filter coffee. And even though the concentrations of caffeine in the drinks are much the same, the difference in cup sizes means the Dutch imbibe nearly three times as much caffeine per cup as the Italians. Published in the journal Scientific Reports, the study drew on researchers from Edinburgh, Trieste and the Netherlands. The Italian coffee company Illy participated in the project, but did not fund the work. Many of the genes that have a role in the breakdown of caffeine also metabolise certain medicines. So unravelling the genes could help scientists understand why some patients respond differently to their drugs than others, and so help doctors to personalise their treatments, Pirastu said. 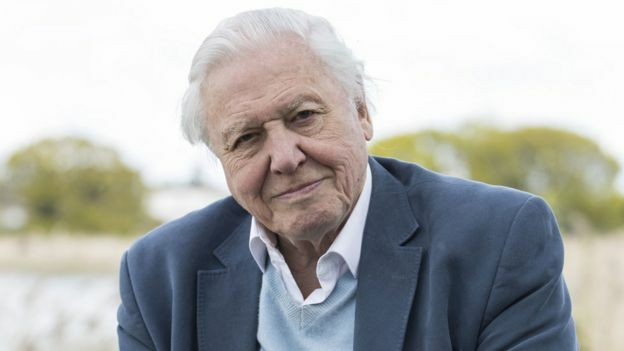 A miniature marsupial lion, extinct for at least 18 million year, has been named after Sir David Attenborough after its fossilised remains were found in a remote part of Australia. Teeth and bone fragments from the kitten-sized predator, named Microleo attenboroughi, were found in limestone deposits at the Riversleigh World Heritage Fossil site in north-western Queensland. The researchers named the new species after the British broadcasting legend because of his work promoting the famous fossil site, which provides a record of nearly 25 million years of Australia’s natural history. When Microleo was still prowling around, in the early Miocene era (roughly 19 million years ago), the arid, outback ecosystem was a lush rainforest. “It likely ran through the treetops, gobbling up birds, frogs, lizards and insects,” says Dr Anna Gillespie, a palaeontologist at the University of New South Wales (UNSW). Ms Gillespie, who has been working at Riversleigh and preparing fossils for 20 years, helped recover fragments of the animal’s skull and several teeth. It’s far from a complete skeleton, but it’s an important part of the puzzle.”Crucially, we have got the third premolar, which is an elongated tooth that looks like a blade,” she told the BBC. The razor-sharp tooth, used to tear up prey, is a common feature found in all known members of the family. “It immediately tells us it’s a marsupial lion,” she says. A pocket-sized predator? But the tooth is by far the smallest of its kind ever recovered. It’s about one-tenth the size of the 3cm-long “bolt-crunching” teeth belonging to the largest and last surviving marsupial lion, Thylacoleo carnifex, which went extinct about 100,000 years ago. Thylacoleo weighed about 130kg (286lbs) and was Australia’s largest carnivorous mammal. It was a fearsome predator about the size of an African lion, with the bite strength to match, and hunted megafauna such as giant kangaroo and diprotodon. In sharp contrast, Ms Gillespie and her team estimate that their “little guy” weighed only 600g, and was about the size of a kitten. The team has ruled out the possibility that the fossils belonged to a juvenile, or a malformed member of a related species. This is due to their distinctive shape, the fact that all the molars have erupted and the presence of “very clear wear patterns”. “This animal has been running around hunting things for quite a while. So it’s definitely an adult,” says Dr Gillespie. The team from UNSW has described the new species in the journal Palaeontologia Electronica. 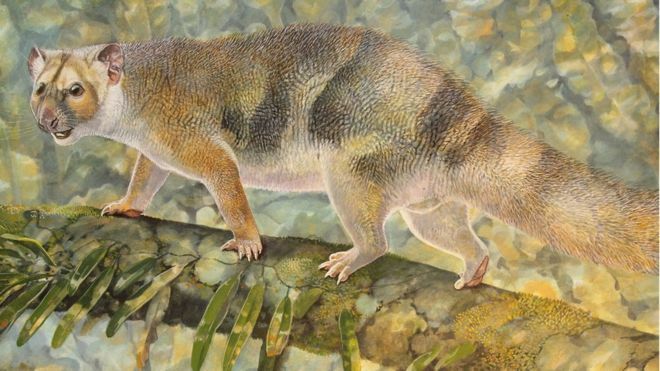 With this find, the researchers have determined that at least three different marsupial lions were co-existing in the ancient Riversleigh rainforest. “This level of diversity is unmatched for the family at any other time in their evolutionary history,” the researchers note. One marsupial lion (Priscileo) weighed about 1.8kg, and was about the size of a cat. Another yet-to-be described species (Wakaleo) weighed around 30kg, about the size of a small Labrador dog, says Ms Gillespie. She says it indicates that they may have been co-operating, dividing up the food resources to reduce competition between themselves. 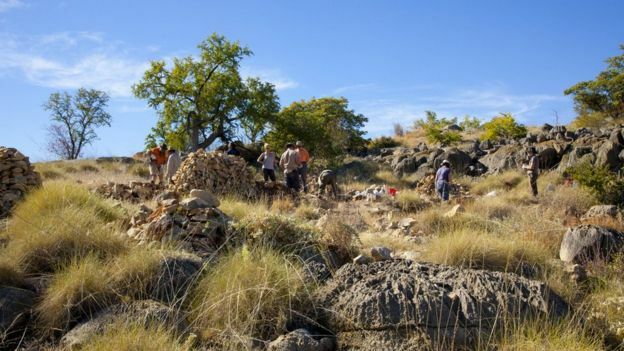 The fossil was found in a location at Riversleigh known as Neville’s Garden, which has become renowned for its rich diversity of animals. It’s yielded bandicoots, possums, kangaroos, toothed platypuses, small koalas, thousands of bats, fish, turtles, lizards, pythons and a range of rainforest birds. “My colleagues have been working at Riversleigh for 40 years,” says Ms Gillespie. “In that time we have processed tonnes of limestone, and got thousands and thousands of fossils back, but this is the only specimen from this animal. Stephen Wroe, an associate professor of zoology and palaeontology at the University of New England in NSW, who was not involved in the study, says the discovery raises new questions about the origin of the marsupial lion family. “Until quite recently there were only a few marsupial lion species known. Over the last decade or two evidence from Riversleigh has seen this jump to 11 subspecies,” he says. He says its diminutive size may explain why only a single specimen has been found.